Day 34: Sweet Zombie Jesus! I think it’s time we had a talk about death. We are a culture that is obsessed with a great many things, but despite our obsessions, we are still collectively afraid of death. It’s something we used to be surrounded by, lived with, wrestled with, and even came to a close relationship with. We have since abandoned that intimacy, and have replaced it with fear and ignorance. Death is now the great Taboo, the one thing we fear most. Of course, we have the right to fear death. Death is the one thing none of us can escape. It is an inevitable part of the human condition. However, fear is one thing; ignorance coupled with fear is something else. That leads to a much more crippling position for us. I have been incredibly blessed in my life to have not been exposed to death much. In my lifetime, only one member of my family has died, and he was very old, and I think was to the point where death was no longer a terrifying end, but a welcome relief. Even then, I was not put into too much proximity with it. That is, until the summer of 2010. That summer, I had to stare death in the face. Repeatedly. I took it upon myself to enroll and participate in something called Clinical Pastoral Education, or CPE for short. 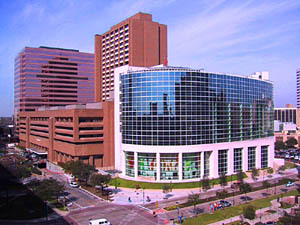 What that means is that I was a hospital chaplain intern for 10 weeks at St. Luke’s Episcopal Hospital and Texas Children’s Hospital in Houston, TX. You see, I had been seriously considering a future career in chaplaincy, so I felt I needed to take things into my own hands and explore chaplaincy firsthand. I realize now how naive I was to go into it. We don’t know what we’re getting into until we’re in the middle of it, most of the time. So it was with me. When you are exposed to that much grief, that much suffering, and that much death when you’ve had no prior experience to ground you, it get’s to be very emotionally heavy. I can’t tell you how many times I had to take a 10 minute breather, sit in the chapel, and even cry to get through it. It was a shock to my system. I learned quickly how to take care of myself. I learned how to pray, how to shore up my confidence, and if I could not master my fear, then greet it as a friend and listen to what it has to say. You learn far more about yourself in CPE than anything else, and I was grateful for the experience. However, like any growth experience, it does leave scars on you. So, I can safely say that I was, and still am, afraid of death to some degree. It’s a fear, however, out of a lack of experience. Death is a mystery, as much as anything, but I’ve learned that death does not command fear as much as it does respect. Which brings me to the subject of Zombies. 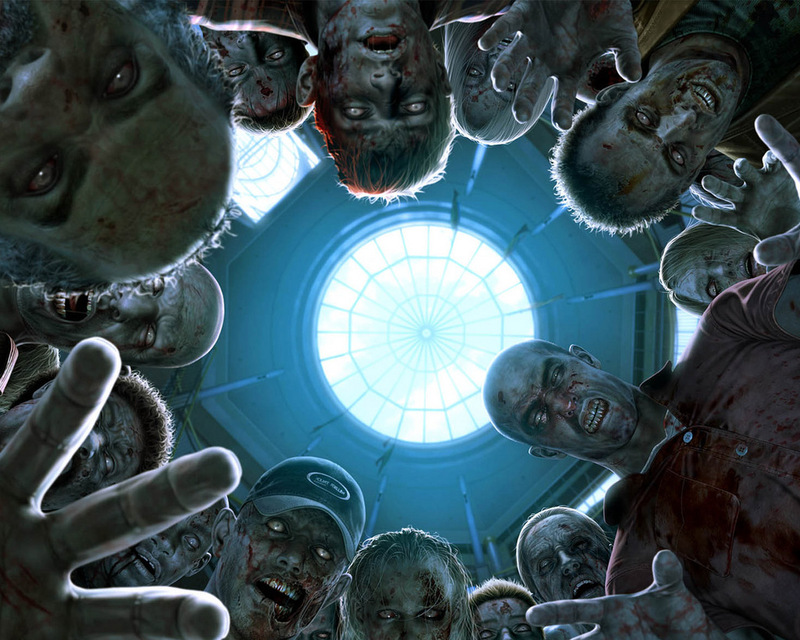 Culture at large, and especially nerd culture, has become fascinated by the idea of zombies. Popularized in film, written word, and television, zombies speak to a very primal fear in all of us, rooted in a fear of death. Rather, the perversion of death. You see, as afraid of death as we are, we also know how death works: once something is dead, it doesn’t move. It’s gone. It’s lost it’s animation. When something we know is not alive, we get freaked out. It’s a fear of disorientation, of violation of the way the universe works. What’s dead stays dead. Unless it’s a zombie. Zombies are a the walking dead, the un-dead. Reanimated dead bodies, mindless, brutal and hungry, usually in large numbers speaks to a large number of fears, and not just death: fear of consumerism, conformity, inevitability, loss of control, ignorance, take your pick. 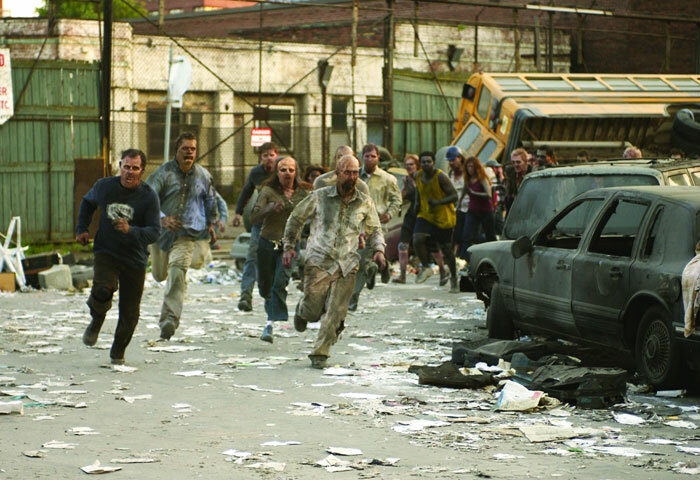 You see a huge crowd of zombies shuffling (or running!) towards you, and you are completely overcome with fear, the root of which is fear of death. The ultimate rule has been broken, and because of that, we are afraid of what happens next. I have a feeling that this fear of death is probably why this passage from the Gospel of John is one of the most terrifying sequences in the entire biblical narrative. It’s intimate. It’s emotional. And it’s about death. Even Jesus, who seemed cocky not a few verses before, can’t escape the gravity of the situation. Jesus, probably more intimately than previously, is having to come to terms with death, one that he himself will have to face on the cross. It’s a heavy thing to bear, being the one with the power over life an death like that. As much as Jesus is God, Jesus is human, after all. When we see Jesus then bring back his friend Lazarus from the dead, it’s all that much more incredible and terrifying. These people know death all too well. They know the rules. And here Jesus is, actually bringing back someone who had been dead for 4 days. Jesus broke the ultimate rule. I can imagine the crowd at the time would have been just as terrified at this as any of us are at the prospect of the walking dead. Dead people don’t just walk around, after all. But here is an important distinction that I think needs to be made: Lazarus is not a zombie. Lazarus is resurrected, fully restored to the life that he had before it was lost. I think the final words of Jesus in this are poignant: “Unbind him, and let him go.” Lazarus had been unbound from the shackles of death, the one that we all must face. He was unbound, as we all are, in the resurrection and the life that Jesus offers to us in himself. That’s the takeaway from this for me. Jesus wasn’t breaking the rule here; he was giving a preview of his ultimate battle with death, a battle which he won. So yes, we need to respect death; death still enslaves us for the time being. However, because of Christ, we no longer will have to fear death; Death no longer holds sway. We are liberated. We are made whole. This entry was posted in Uncategorized and tagged Chaplaincy, Christianity, Death, Fear, Jesus, Lazarus, Lent, Ministry, Nerd Culture, Religion, Respect, Resurrection, Uncategorized, Zombies. Bookmark the permalink. 3 Responses to Day 34: Sweet Zombie Jesus! Thanks for your reflection. When I first started CPE internship at an inpatient hospice unit, I hadn’t experience much death – 1 older relative and 1 relative I hadn’t known very well. It was definitely an experience. 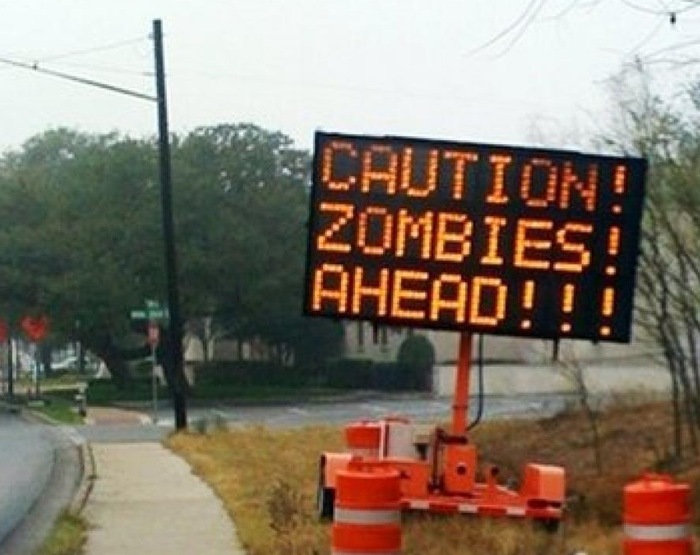 Hands down, I love sermons that throw in a zombie or two. They are my absolute favorites!! Great post!